As an African American woman I know how easily our hair can go from luxurious on Sunday to dry and brittle by Thursday. If our hair is treated poorly it’s imperative that we follow up with a whole lot of TLC. 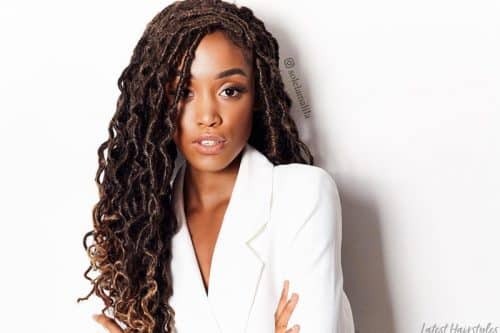 Listed below are five black hair products that every African American woman should have in their arsenal of hair care products. This product is life in a bottle! 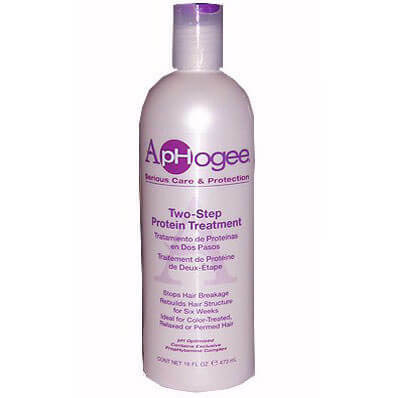 Protein treatments rebuild hair follicles that have been broken or weakened and also help to stop shedding and breakage. This product is very simple to use. Just wash hair with a clarifying shampoo and apply the treatment to towel dried hair. After about 15 minutes with heat rinse and follow up with a moisturizing conditioner. Use every 4-6 weeks and always a week or so prior to a chemical service. This particular brand is one of my faves. It can be purchased at your local beauty supply store such as Sally Beauty Supply for $22.49 or on Amazon starting at $8.49. This clarifying shampoo cleanses the hair and scalp of all impurities without stripping our hair of the moisture it needs. Regardless of the brand of clarifying shampoo you choose to go with, it’s important to pick one that is sulfate free in order to minimize excessive moisture loss. For those with serious scalp build up use Mizani’s Scalp Tonic Dry Scalp Treatment prior to washing hair with Mizani Puriphying Shampoo. Mizani Puriphying Shampoo can be purchased at House Of Beauty World for $6.95. Protein is essential to the health of black women’s hair considering we tend to do so much to our hair on a regular basis. From heat styling, seasonal hair color changes, installing extensions and more we need low, but efficient maintenance. Dudley’s Cream Protein Moisturizing Conditioner is a great conditioner to use routinely and can even be mixed with another moisturizing conditioner to achieve more luster. A bit of protein will keep your strands retaining length and in good condition. 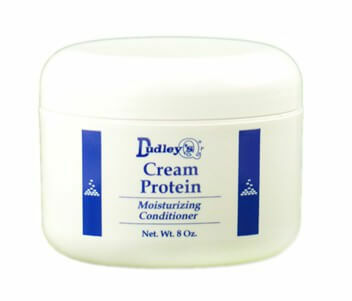 Dudley’s Cream Protein can be purchased at Sleekhair.com for $15.29. I can’t stress enough the importance of moisture! Without moisture our hair will snap and break off, shed like crazy and be extremely dry. When purchasing a daily moisturizer it’s important that it is water-based and full of natural oils, regardless of whether your hair is natural or chemically straightened. 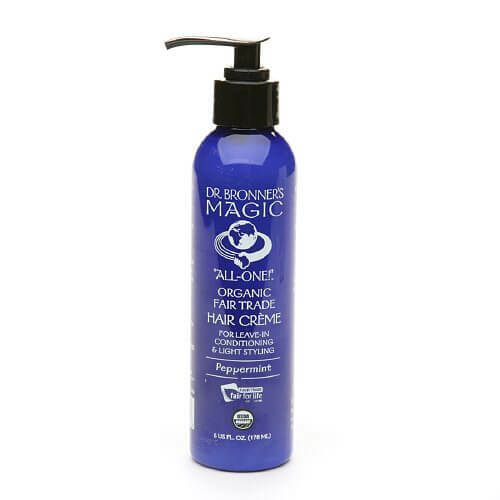 What I like most about the Dr.Bronner Hair Creme is that the ingredients are organic, a little product goes a long way and it doesn’t weigh the hair down when used properly. Moisture should be applied either on damp hair or freshly blow dried hair. Like I stated, only a little bit, a dime size or less will work wonders on your hair. Satin Bonnets are soft and hair friendly. Since they’re so silky they tend to slide off so I recommend using a satin pillowcase as well. Perhaps you may be wondering, why use satin? Satin allows moisture to stay in your hair and not be absorbed by your lovely pillowcase. Unfortunately, ethnic hair needs the most TLC, so we need as much protection as possible. 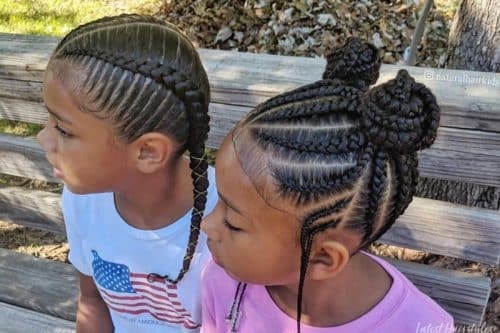 Even in our sleep we should be protective styling! This item can be purchased at Amazon.com for $6.47. 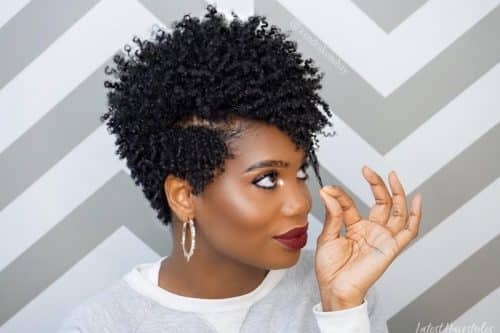 Also check out a cool new site I found with great testimonials called Ebonicurls.com. They sell real satin bonnets, pillowcases and many more black hair friendly products! As a result of our coiled texture with a tendency towards breakage, it may seem impossible to attain Rapunzel length hair. The truth is we can grow long lengths, too. Aside from incorporating great products into our routine, we should all strive to live a healthier lifestyle to help contribute to the health of our hair, skin and nails. I recommend the use of biotin, which is the perfect hair, skin and nail vitamin. I also recommend consulting with your stylist to possibly trim your ends every six or so weeks. 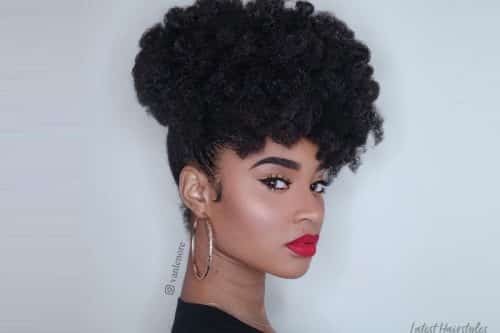 I hope this advice and list of black hair products was helpful to you. Good luck on your hair journey! 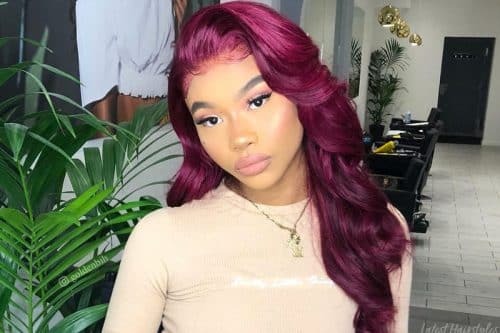 15 of the Hottest African American Prom Hairstyles Today! Clip On Extensions: 10 Ways to Style Hair Like a Pro! 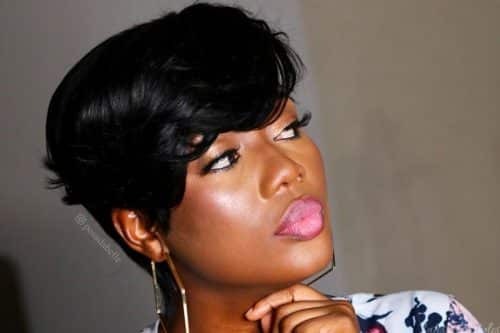 5 Types of Weave: Which One Suits You Best?